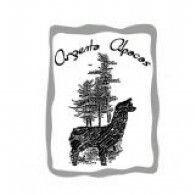 Argenta Alpacas is a farm located in Golden, Colorado owned by Jon and Pamela Wagener. Let our experience and growth benefit you. 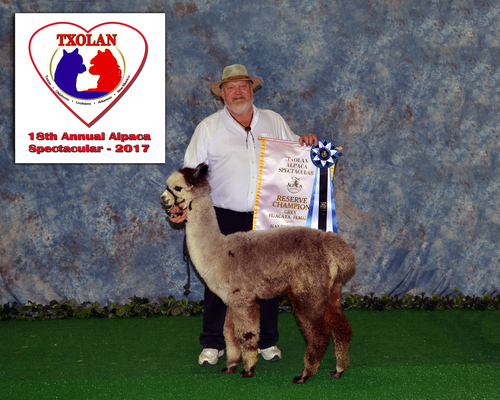 Currently there are 28 Alpacas with 4 due in the Spring of 2019. We would love for someone to take over the grey program we have developed over the last 9 years. Or we can put together a smaller package to fit your budget. We will help you through the transition process and mentor you as long as needed. We have all the equipment and supplies necessary as well as LGDs that could be purchased at additional cost when the alpacas are all sold. We have many awesome animals with CCs and RCs. Granite has passed on his outstanding crimp, fineness and shine to his kids. He has kids with many banners. 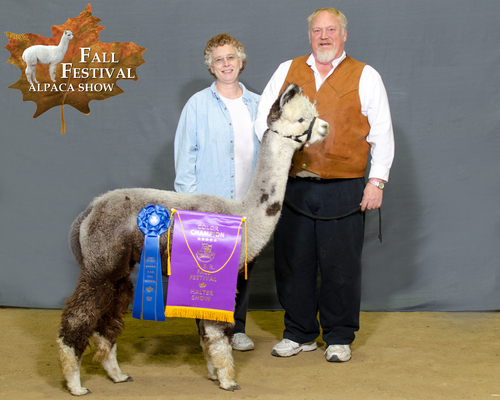 The best thing about Granite is that the alpaca industry is not flooded with his genetics. We have Snowmass Matrix, Snowmass Enlightenment, Aussie Rockford, Rayo del Sol, Dom Timbo, Jeremiah's Quattrain, Aussie 38 Special and the list goes on. We are located in the beautiful foothills of Golden, Colorado at 7300 feet. We are a small ranch ending our 10th year of raising these wonderful creatures. 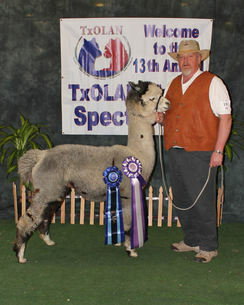 Our silver herdsire, Argenta Granite, has done exceptionally well in the show ring. His fleece architecture at 9 years old is still outstanding. His fleece demonstrates lingering fineness. We would love to have you come and visit us and meet our alpacas. 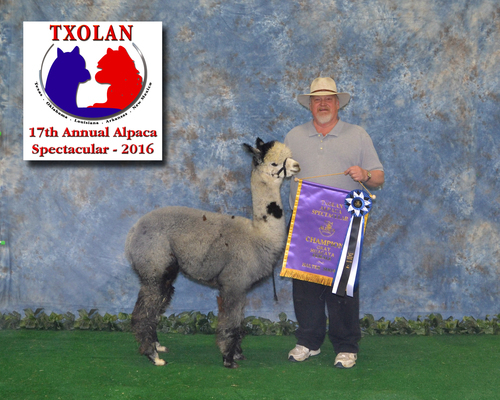 We have happy, healthy alpacas with great genetics.